Please do not sent in orders as distribution is currently closed. 1849 is now available as a gamekit from Chris Lawson in the UK. 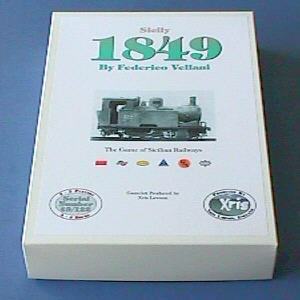 It was first released by Federico Vellani as 1850 but later renamed 1849 (because another game had already used 1850 as a title). It has gone through a number of major changes over the years, the latest of which is Version 4. The Gold Edition 1849 gamekit is no longer available.